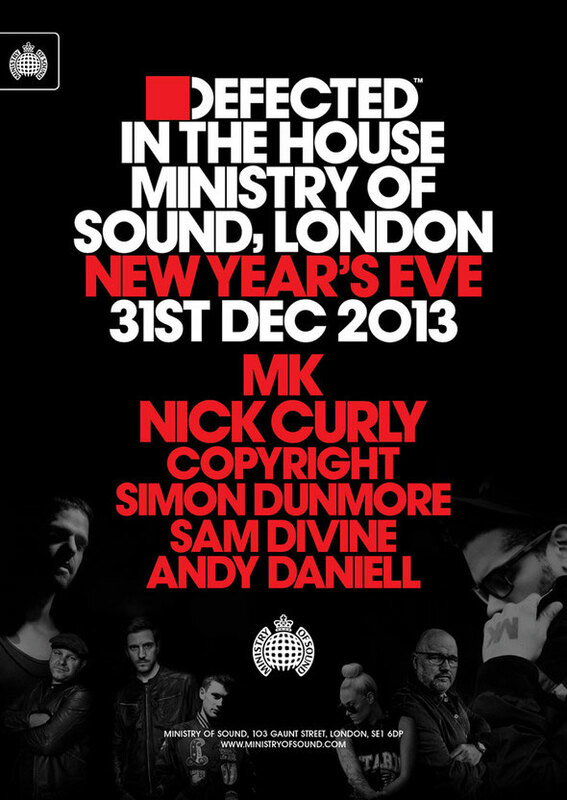 On Tuesday 31st December, Defected ends the year by bringing MK, Nick Curly, Copyright, Simon Dunmore, Sam Divine and Andy Daniell to the Ministry of Sound in London. Tickets are now on sale for what could be one of the key New Year’s Eve events in the capital. MK conquered the underground music and pop world – twice – and his recent return to prominence only furthers the reputation of possibly one of dance music’s most in demand producer/DJs. He arguably revolutionised music in the early 1990s and 20 years later still champions a sound that is as unique and relevant as ever, with his Storm Queen ‘Look Right Through’ (Dub III) remix not only an underground anthem but also set to achieve high-end chart success. 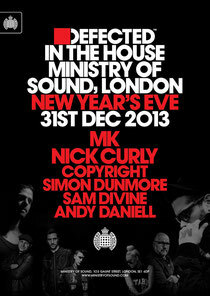 Taking the Midnight Set at Ministry of Sound, MK will round off a top year that has witnessed his “flawless” (DJ Mag) debut mix album ‘MK In The House’ as well as a series of performances which included sets at Booom! and The Coronet earlier this summer. Joining MK in the Box at Ministry of Sound will be Nick Curly; fresh from dropping his remix of Dennis Ferrer’s ‘Mind Ur Step’, his rolling, tech-edged late night sound will close the show. Defected’s founder, Simon Dunmore, will set the tone with one of his early sets and long-term Defected In The House favourite Sam Divine reprises her set from We Are FSTVL earlier this year.